Income Security: A Roadmap for Change Report was released on 2 November 2017. The government held a public consultation and they intend to release an “Income Security Strategy for Ontario” early in 2018, using the Roadmap as a guide. All levels of government including the Federal government are involved in the development of this 10 year plan along with 3 working groups: Income Security Reform Working Group, First Nations Income Security Reform Working Group and Urban Indigenous Table on Income Security Reform. The income security system was designed for the workforce of the past, where many people had long-term, well-paying jobs. Today, low-paying, part-time jobs of short duration are much more common. Many people have long-standing barriers to work and social inclusion due to: intergenerational poverty, history of colonialism, mental health and addition issues. More people turn to social assistance as a “first resort” despite the limitations of these programs. Essential needs are increasingly out of reach for many people. It’s harder for people to climb out of poverty. More people have disabilities, are facing barriers to employment, social inclusion and higher costs of living. Poverty and low-income are negatively impacting people’s health and well-being. Systemic racism and discrimination are contributing to entrenched inequity. In 2008, it was estimated that poverty costs $32 to $38 billlion-a-year in Ontario. Around $2,300-a-year for every household in Ontario. This is the first report in 30 years that recommends major investments in and improvements to programs that affect the lives of people on low-income in Ontario. It reflects a fundamentally different approach to supports and services that puts people – and their needs and rights – at the centre of the system, with a recognition that social and economic inclusion, and not just getting a job, should be the goal. It not only recommends increasing the amount, quality and kind of benefits and services that low-income people receive, but also is transforming the vision for the income security system, the principles behind the provision of programs and services, and changes the goals to a rights-based, equity approach and recognizes the realities of different groups who live in poverty and/or experience poverty. All individuals are treated with respect and dignity and are inspired and equipped to reach their full potential. People have equitable access to a comprehensive and accountable system of income and in-kind support that provides an adequate level of financial assistance and promotes economic and social inclusion, with particular attention to the needs and experience of Indigenous peoples (pg 69). The Roadmap reflect years of advocacy for change to Ontario’s income security system. It is a tool that we can use to ensure greater investments are made in the Provincial budget. We need to ensure that all candidates in upcoming elections are made aware of the Roadmap and support the transformation of Ontario’s income security system. 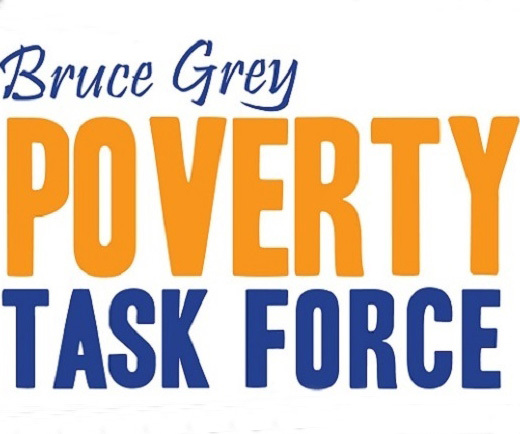 At our recent Bruce Grey Poverty Task Force meeting we shared a background summary of the recommendations prepared by the Income Security Advocacy Centre along with the link to a Webinar by Income Security Advocacy Centre . An Income Security Roadmap Presentation – Nov 17 prepared by Anna Cain, Director of Ontario Works Branch, MCSS highlighted the recommended changes and was the basis along with the full Report of our discussion.